Worksheets are becoming increasingly popular in the therapy process as a way for clients to actively evaluate and improve their skills. Worksheets can also be beneficial for clients in other ways, allowing them to practice their skills, find problems, allowing them to reflect on sessions and even lessons learnt, and measure progress. Anxiety is a common disorder treated by therapists and is on the rise in clients. Anxiety disorders affect a lot of individuals. In the US alone, approximately 40M adults (18-54) suffer from some form of anxiety (National Institute of Mental Health (NIMH). That’s over 18% of all US adults. There are various types of anxiety, something we’ve touched upon before on this blog, using the correct worksheets for each of those helps both clients and you, the therapist. We won at the RESI Innovation Challenge in Toronto! Yesterday, on Tuesday April 10th, Therachat took 3d place in the Innovation Challenge at the RESI Conference in Toronto. An award for scientists and entrepreneurs that push the boundaries of health & technology. 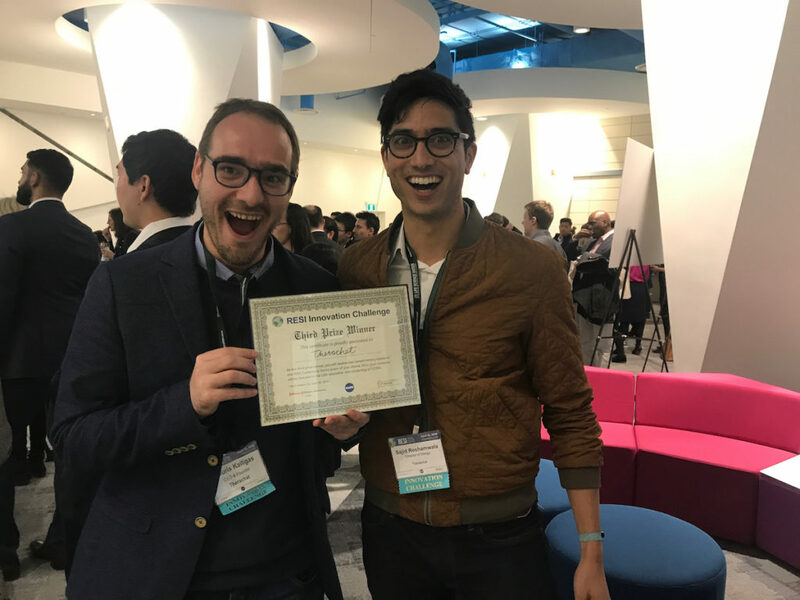 Out of 120 participants, the 30 most innovative applicants were hand selected by Life Science Nation’s internal scientific review board to present their technologies and we were one of those. During a full day, people stopped by our poster and listened to how we believe we are changing the mental health field by empowering therapists to engage their clients in between sessions. We’re honored and very proud because we had some heavy competition that pushes the boundaries of technology and health. We took the stage together with companies that created miniature microscopes and non-invasive at-home kits to collect and transport cells. Congrats to the other winners, the participants and thank you. This recognition pushes us even more to make mental health accessible to everyone. The world of mobile apps continues to grow on us. According to forecasting, the number of apps downloaded in 2017 was over 190M+ (Statista) across the world’s devices and a growing portion of those downloads are focused heavily towards self-help, improvement and care. Developing positive habits outside of therapy sessions is both beneficial for the client and the therapist. As a therapist you might be challenging yourself, why would that benefit both parties, surely it helps only the client? Over the past year we took Therachat from a concept on paper to a fully customizable, HIPAA-compliant platform to engage and connect with your clients in between sessions. We expanded the platform quite a bit with features like a unique emotion tracking format, the Client timeline, the ability to upload documents, videos, links and images and many more. After doing all that work, seeing it take off and with our users even telling us, we believe that our current pricing ($10 per month or $60 for an annual plan) does not reflect the value any longer. This is why on April 15th we are raising our prices to $29.99/month and $199/year for new customers. [Read more…] about We’re increasing our prices.. Homework compliance is one of the biggest challenges for therapists around the world, as they look to deepen their practice and increase the quality of interactions with their clients. One of the bottlenecks to success for many is the lack of work outside the session to enable progress. In this blogpost, we’ve spoken about the topic of homework compliance and ways to get started. Implementing regular homework inside and outside of sessions is one of the building blocks to getting started, and then from here, you can go a little deeper into how your client reacts and learns from this. Unlike many other methods, with care and attention, homework compliance can deliver you results, but as therapists adopting this strategy, you’ll need to keep your focus on regularly keeping refreshed with ways to embrace this process.